Kicking off the first evening of the conference on Sunday, August 12, the Production Sessions program will host a special 25th anniversary tribute screening of the original “Jurassic Park” (1993), giving attendees the chance to see it on the big screen again. Steve “Spaz” Williams, one of the visual effects pioneers on this groundbreaking film, will present and introduce the screening. After a successful first run in 2017, the Production Gallery will return for a second year to Vancouver. This museum-style showcase features artwork, props, costumes, artifacts, and even interactive gaming experiences, offering attendees the opportunity to see behind-the-scenes work of artists and industry craftspeople up close. Among this year’s display pieces will be memorabilia from productions like “Solo: A Star Wars Story,” “Ralph Breaks the Internet: Wreck-It Ralph 2,” “Crow: The Legend,” and Square Enix’s Animation-to-Games project. “Embracing and embodying the theme of ‘Generations,’ SIGGRAPH 2018 is a chance to celebrate and to reflect. This year’s Production Sessions programming looks at where we were, where we are now, and where we could be. I am so proud of the incredible lineup of content and speakers we have assembled. The brilliant work and boundary-pushing creativity in every frame, sequence, and pixel in the sessions, and the experience of walking through the gallery, is sure to ‘wow’ our attendees,” said SIGGRAPH 2018 Production Sessions chair Emily Hsu. 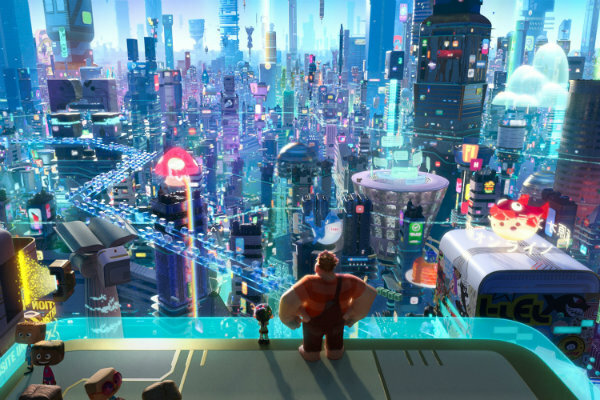 In this exclusive look at the upcoming “Ralph Breaks the Internet: Wreck-It Ralph 2” (release date: November 21, 2018), members of the production team from Walt Disney Animation Studios will discuss the challenges they faced, both artistically and technically, in visualizing a world that is ever-changing and seemingly endless — a concept as familiar as the internet executed in a way that has never been seen before. LAIKA is a studio whose mission is to realize the potential of stop-motion animation by fusing old-school artisanship with cutting-edge technology. This sneak peek production session will highlight the work done by LAIKA’s in-house visual effects team on the studio’s fifth film, “Missing Link” (in theaters April 19, 2019). During this session, the LAIKA team will highlight its unique production pipeline and how its digital efforts were created in concert with the puppet-makers and set builders at the studio.